Before deploying metadata in Sandbox of production, have you felt that how great it would be to generate configuration workbook ? Or compare sandboxes for difference ? Or check if fields are used on any page layouts or not ? Dear reader, you are in need of custom Salesforce DX plugin. You heard it right, Salesforce DX allows custom plugin development. So now question is, how do you connect to Salesforce Org ? Do you need to know about OAuth or Single Sign On (SSO) ? We have gone through few blog posts about SFDX and its capabilities in past. In this post, I will explain steps on how to use SFDX with developer, Sandbox or Production Org. In short we will discuss how to use SFDX with non Scratch Orgs. We would be using official Salesforce IDE for SFDX, which is VSCode. Assumption – VSCode extension is already installed in your VSCode. Open VScode and press cmd+Shift+p, It will give some option. Select SFDX: Create Project. Note : Everything we are discussing here is completely covered as part of Live coding in Apex Salesforce Saturday organized by Amit. Would like to thank Mohith for his support and answers during the demo. It also shows How SalesforceDX can be used daily by developers to perform development. In today’s continuous integration solution built for Salesforce, if you need to load sample data into Salesforce then either we use command line dataloader or custom tool built to import export records. With Salesforce DX, we can import and export records right from Salesforce DX. Again, if you are new to Salesforce DX, then first read this blog post to quickly understand what is Salesforce DX. We don’t need Developer Hub or Scratch Orgs to use Salesforce DX for import and export. In this blog post, I have used my regular developer org for demo. 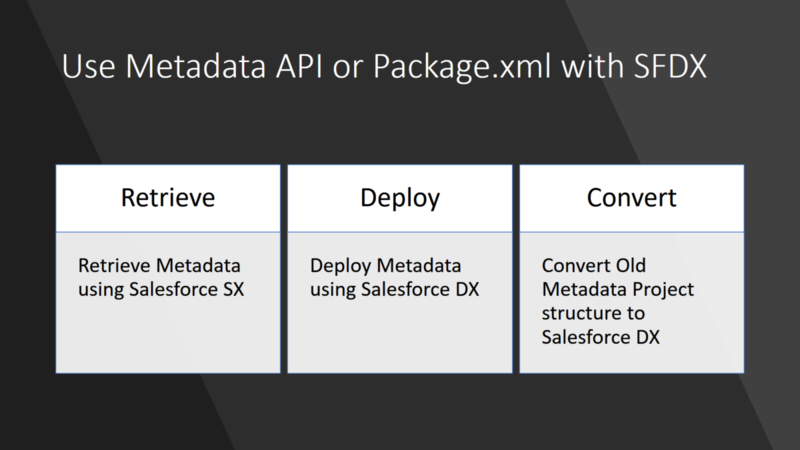 If you have existing VCS which stores metadata information about your Salesforce instance in old format, dependent on package.xml and you want to use Salesforce DX then this blog post is for you. As you might already know, Salesforce DX does not need package.xml and can automatically detect changes in your Salesforce instance, therefore new Salesforce DX project format is different. In this blog post we will see, how Salesforce DX can be used without enabling Developer Hub and using Salesforce DX with normal Salesforce instances. If we already have Salesforce Metadata API, Force.com IDE and other tools then why do we need one more tool like Salesforce DX ? 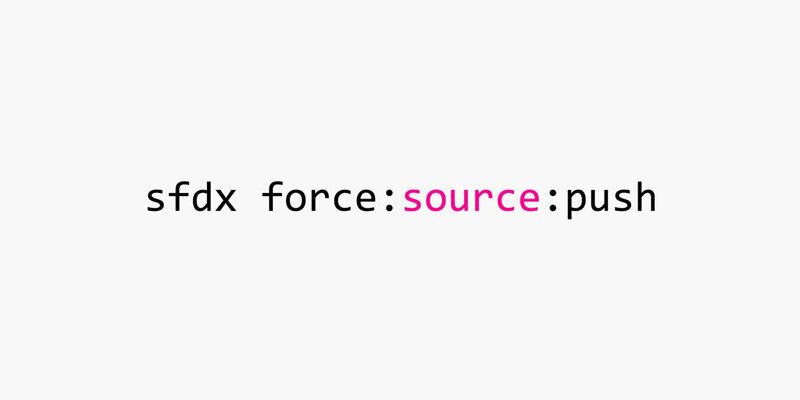 In tools like Changeset, Metadata API or Force.com IDE, source of truth is Sandbox. Although we can setup process and continuous integration (CI) to use some source code management (SCM) like Git or SVN. However these kind of setup takes time, expertise and lot of effort. What are scratch Orgs ? Salesforce DX can be enabled for any Salesforce instance and they are known as Developer Hub. One Developer Hub can have multiple Scratch Orgs. Scratch Orgs are temporary Salesforce org which can be created quickly and metadata can be deployed from SCM. These kind of Orgs can be used by developers to perform quick proof of concept or build and test packages. Once package is build and saved back on SCM, scratch org can be destroyed easily.